National Nutrition Month (March) has come and gone and I have failed to even mention it! Whoops. Well, Happy Belated National Nutrition Month! Calories are basically units of energy. Technically, a “calorie” (or more accurately “kilocalorie”) is the amount of energy it takes to raise 1 gram of water by 1 degree Celsius. Now you’ve probably lost all interest, but hear me out. These numbers are based on the Atwater system, which was developed using a bomb calorimeter. If I recall correctly, that’s a machine you put food in and basically blow it up, then measure the heat it took to do so (or something like that, but much more complicated). Anyway, these numbers are the basis of the calorie totals that we find on nutrition labels today. Seems straight forward enough, right? Well maybe not. Recent research is questioning the accuracy of the Atwater system, particularly as it pertains to some fats such as nuts. The theory is that the chemical composition of nuts does not give an accurate picture of the metabolizable energy (i.e. how many calories you will actually absorb) due to reduced digestibility. 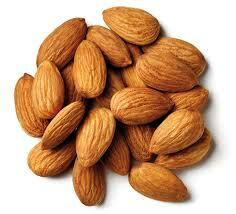 One study found that Atwater overestimates the measured energy value(calorie) of almonds by 32%! This means that when you are eating a supposedly 185 calorie serving of nuts, your body may only be getting (and therefore utilizing) 140 calories. As if you needed another reason to eat nuts! Even if other studies don’t validate this one, nuts are still a great source of unsaturated fats and packed with vitamins and minerals! I eat them almost every day. But the real take home message of this study is that maybe not all foods can be thrown into a simple 4/4/9 category when it comes to calories. Which brings up the question of what foods besides almonds might not be what they seem calorie-wise? And the further question of So What?! I don’t recommend counting calories anyway. It’s no way to live and also not the best way to ensure you are eating healthfully (you can meet your calorie needs through jelly beans and soda after all). For many people calorie counting can become a compulsive and unhealthy activity. To add further confusion, opposite of what this study has found are studies examining restaurant foods which have found that entrees tend to contain more calories than the restaurant menus state. So you may be getting less calories in some instances, and more in others. You can’t win when counting calories, so don’t do it. So what can you do if you are concerned about your weight and/or health? Eat from a wide variety of foods, including lots of fruits and vegetables, lean proteins, healthy fats, and whole grains. Incorporate exercise on a regular basis. Yup, that’s it. Keep It Simple, Smarty!